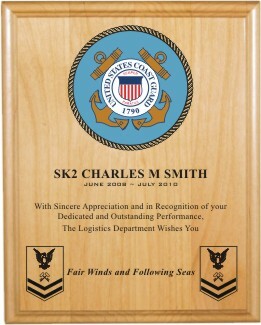 Alder Wood Color + Laser Engraved plaques are made with genuine Alder Wood. The 8 X 10 plaque is fully laser engraved and includes the color logo of your choice printed on a 4 in aluminum disk and inset into the wood. The wreath around the logo is laser engraved. The plaque includes up to 6 lines of text. 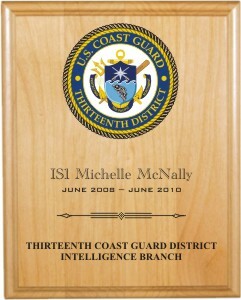 The 9 X 12 plaque is fully laser engraved and includes the color logo of your choice printed on a 4 in aluminum disk that is inset into the wood. The wreath around the logo is laser engraved. 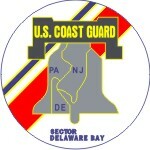 Also included are two rank insignias or the emblems listed below on the bottom of the plaque. This plaque includes 6 lines of text as well. 4. Enter up to 6 lines for your engraved or printed message below. 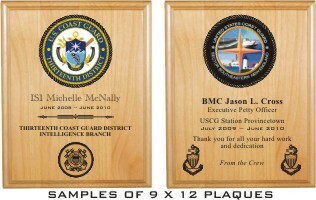 All lines are centered on the plaque (maximum 60 characters per line including spaces) We will engrave your message as written, so use upper and lower case lettering accordingly. We will attempt to correct mis-spelled words, so please note in the "Special Instructions" any words intentionally misspelled.